Econo Lodge is the second largest hotel brand belonging to the Choice Hotels International lodging company, which operates all over the United States and abroad. It was originally founded in Norfolk, Virginia in 1969 with the concept of a simple, affordable hotel for business travelers. 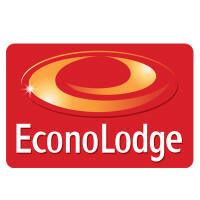 You can find a link to the Econo Lodge application and information on how to apply for Econo Lodge online below. Choice Hotels began in Florida in 1939 as a way for seven hotel owners to share referrals and standardize their standards of service, creating the USA’s first hotel chain: Quality Courts United. As the company grew, it became a forerunner of innovation in the industry, pioneering ideas like 24 hour service, guaranteed reservations, and non-smoking rooms. Today, Choice Hotels operates in more than 35 countries, with over 500,000 total rooms. The Econo Lodge brand was founded independently by Vernon Myers, his son Vernon, Jr., and Lloyd Tarbutton. By the time Choice Hotels bought the brand in 1990, it had established a reputation for affordable, clean rooms and convenient locations, and had become a staple for business travelers all across the country. Since then, Econo Lodge has become the second most extensive brand in the Choice Hotels group, with locations in every US state and Canadian province. There are close to 1000 hotels currently open, with more under development all the time. If you are interested in getting into the hospitality industry, turn in an Econo Lodge application today. As it is constantly growing, Econo Lodge is always looking for new employees. Entry-level job opportunities include positions such as laundry room worker, front desk staff, and maintenance crew. These employment opportunities and more are almost certainly available at one of your local locations, or you can search third party websites for a printable application for Econo Lodge. Corporate Econo Lodge jobs are available through Choice Hotels, and they accept applications through their website, though they are also known to promote from within. Econo Lodge careers on the corporate level pay by salary and include Project Managers, Program Managers, analysts, and Area Directors. These positions are available mainly in Rockville, MD, and Phoenix, AZ, though some may be possible to do remotely. How old do you have to be to work at Econo Lodge? You must be at least 18 years old to apply for all Econo Lodge careers. Most corporate job descriptions call for at least a four-year degree, and many require up to 8 years of hospitality industry experience. Econo Lodge locations are open 24 hours a day, 7 days a week, and often require flexible schedules on the part of employees to make sure the hotel is fully staffed at all times. All employees have access to retirement benefits, such as enrolling in a 401(k) plan with company match. Certain staff can also qualify for medical benefits like life insurance, vision, and dental coverage. Full-time positions also grant vacation time, sick days, paid holiday time, and bereavement pay. Employees also get discounts at many Choice Hotel brands as soon as they are hired. Front Desk Staff – Front Desk staff members are responsible for greeting guests, activating and distributing room keys, checking guests in and out, recording reservations and cancellations, and more. They are also responsible for taking payments and helping guests navigate the hotel, as well as answering the phone. A good attitude and strong interpersonal skills are a must. Front Desk staff generally earn around $10 an hour. Housekeeping – Housekeepers’ primary responsibility is cleaning and resetting guest rooms quickly and efficiently, including vacuuming, stripping and making the bed, emptying the trash, cleaning the bathroom sink, bath, and toilet, and restocking amenities. They must also report any maintenance issues promptly. Housekeepers can earn up to $10 an hour. Maintenance – Maintenance crew members are responsible for maintaining appliances, flooring, and walls in guest rooms, as well as addressing all maintenance requests as needed. Maintenance may also be required to take care of the hotel’s exterior, including the parking lot and swimming pool. This position can require access to a reliable form of transportation, as Maintenance members may be asked to travel between multiple locations. Maintenance crew usually pays $10 an hour. Laundry Room Attendant – Laundry room attendant responsibilities include washing and sorting linens and towels from guest rooms, as well as ironing and folding where necessary. They must be comfortable bending and lifting heavy items, and must ensure that all laundry is up to hotel standard before it is put back in guest rooms. Laundry room attendants make around $8 an hour. Why do you want to work for Econo Lodge? The interviewer wants to know what in particular attracted you to work for this hotel. Citing specifics about the brand can be helpful, as well as talking about the aspects of the job description that you find fulfilling. For example, if applying for a position at the front desk, talking about how you enjoy chatting with new people. Be sincere. What experience do you have in the industry? The interviewer wants to know how much training you would need and how much you already know about the job. If you’ve worked in a hotel or the hospitality industry before, that is the best place to start. If not, be honest, and be sure to mention any relevant experience (customer service, etc.). How would you help the hotel to succeed? The interviewer wants to know if you are someone who will uphold the standards of the hotel and make sure guests are satisfied. Try to be specific. Tell me about an experience you had with a hard-to-please customer. The interviewer is interested in your problem-solving skills, and wants to know that you won’t fall apart if something goes wrong. Where do you see yourself in five years? If you are interested in moving up through the company, it’s okay to say so. As long as you don’t insult the position you are currently applying to, expressing a desire to advance is a good sign. The method to apply for jobs at Econo Lodge varies depending on the location. There is not a direct application form for Econo Lodge jobs online on the main website: openings are posted mainly through third-party websites. Some of these allow you to apply online or to download the printable application form, while others advise you to go in person and fill out a paper application. If you are interested in working at a particular location, your best bet is to go to that location and ask about their hiring policies in person. They will be able to tell you where you can fill out an online application, download application form, if they have any openings, or give you a free application on the spot. Make sure to update your resume before applying. Once you have landed an interview, wear clean, sensible, appropriate clothing on the day. Interviews for entry level positions may be casual, but you should still avoid ripped or tattered clothes or anything offensive. Dressing up for an interview is always a safe bet. Bring a copy of your resume printed on quality paper to the interview. You may not end up using it, but it is helpful to have to give to the interviewer or use as a reference. Also, prepare some questions about the company in advance, as the interviewer will almost certainly ask if you have any: some good examples might be what is a typical day like for [position]? or what is your favorite part of working at Econo Lodge? if it feels appropriate. Remember to be positive, and thank the interviewer for his or her time at the end of the interview. Motel 6: Visit the Motel 6 application. Crowne Plaza: See our resource page for more information on Crowne Plaza careers. Microtel: See our resource page for more information on Microtel careers. Country Inn And Suites: Checkout the application page for work at Country Inn And Suites. Springhill Suites: For career opportunities, fill out the Springhill Suites online application.